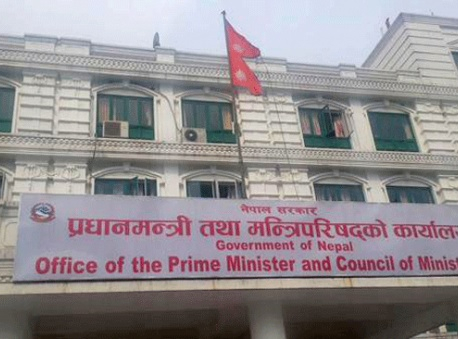 The two agreements will secure funding for Nepal of nearly Rs 18.06 billion (according to Wednesday’s exchange rate) from the World Bank Group to be invested in construction and maintenance of safe, resilient and cost-effective bridges in Nepal, and in improving food security of vulnerable households and communities in the country. 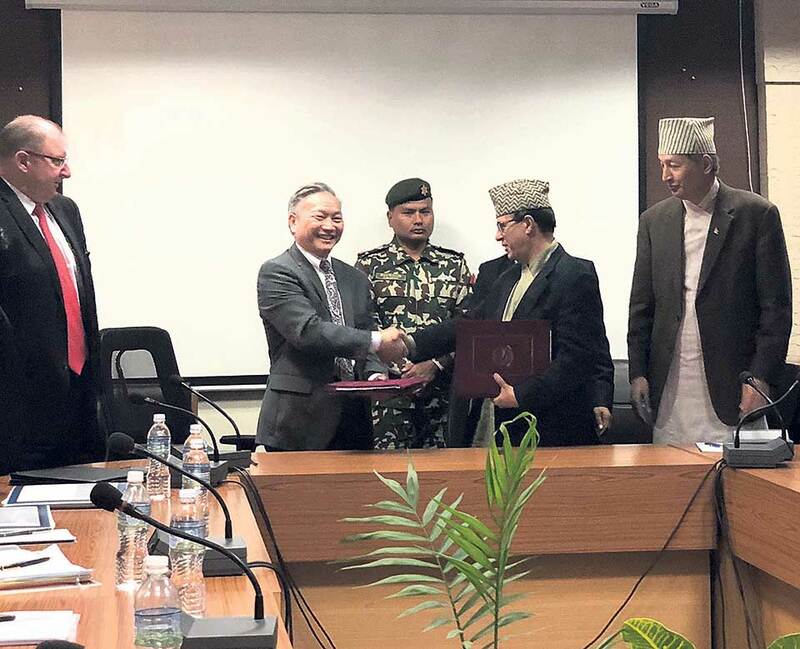 Finance Secretary Rajan Khanal and the World Bank Country Director for Bangladesh, Nepal and Bhutan, Qimiao Fan, signed the two agreements in Kathmandu on Wednesday in the presence of Finance Minister Yuba Raj Khatiwada and World Bank Vice President for South Asia Region, Hartwig Schafer. 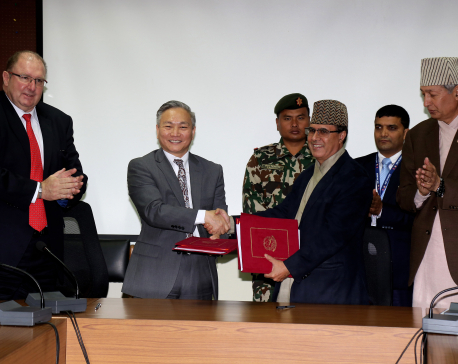 According to a joint statement issued after the signing of agreements, the first agreement is for the credit of $133 million on Second Bridges Improvement and Maintenance Program, targeting approximately 477 bridges along Nepal’s Strategic Roads Network. Similarly, the second agreement is for a grant of $22.7 million from the World Bank to support the Food and Nutrition Enhancement Project. “With these two projects, Nepal and World Bank will come together to ensure better livelihoods, access, trade and life opportunities for thousands of people,” the statement quoted Finance Minister Yuba Raj Khatiwada as saying. “The first credit of $133 million will be instrumental in ensuring the well-being of the country’s Strategic Roads Network, comprising of roughly 12,142 kilometers of national highways, feeder roads and other roads of national importance. The second project will be in the form of a grant of $22.7 million that contributes to the government’s capacity to deliver agriculture extension services at the decentralized levels, and to diversify income opportunities for the rural poor,” he added. The project that will be financed from the grant aims at improving the health and livelihoods of approximately 65,000 direct beneficiaries, of which 65 percent will target women. According to Hartwig Schafer, Vice President of World Bank for South Asia Region, the agreements are part of efforts to deepen collaboration with the government. “We are deepening our collaboration with the Government of Nepal through the development and sustainability of key strategic bridges, and through enhancement of food security and nutrition. These contribute greatly to Nepal’s development storyline by addressing the need for connectivity, human capital development and shared prosperity,” the statement quoted Schafer.